Practice those fine motor skills by cutting precisely to make four perfect puzzle pieces, then paste them on paper to create a beautiful scene of a prince and princess on a joyous horse ride. Give your preschooler some practice with scissors and glue as she puts together this pretty princess and prince puzzle. 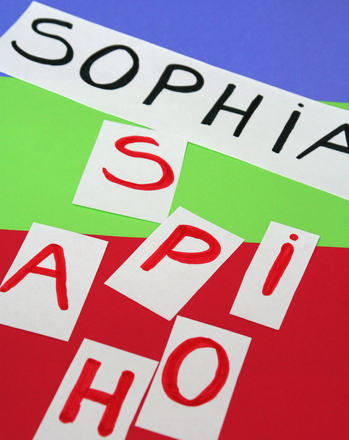 Help your child understand that letters, put in a certain order, make words. In this fun activity she'll get to make her own puzzle, and practice letters, too! Is your preschooler a princess in disguise or a knight on a quest? Either way, encourage fantastical imaginations with this math story about a tired princess. 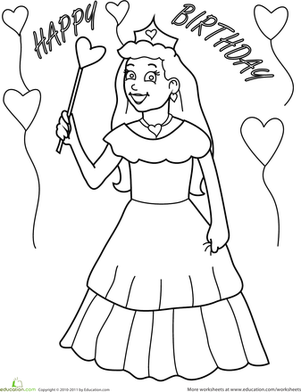 A coloring sheet for preschoolers of the Princess and the Frog. This Thanksgiving puzzle is a great pre-dinner activity. Be the first in your family to complete the Thanksgiving puzzle, and win! Learn how to count to ten the fun way, with a number puzzle you can make yourselves! 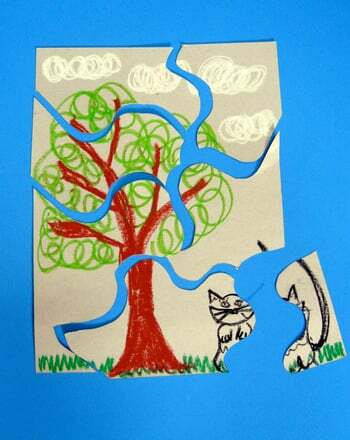 Help your child cut out these pieces and put them back together again.